All our guitars are hand carved and tailor-made to order and delivered directly to you. From our humble beginnings to our new world famous, iconic Ouija board JX, Evaline has made a lot of guitarists VERY happy with their hand-crafted instruments. So get your "gears turning." What can YOUR mind imagine that only Evaline Guitars will build for you? THE "FIRST LADY" OF EVALINE!! Evaline Guitars announces it's first female endorsed guitarist. 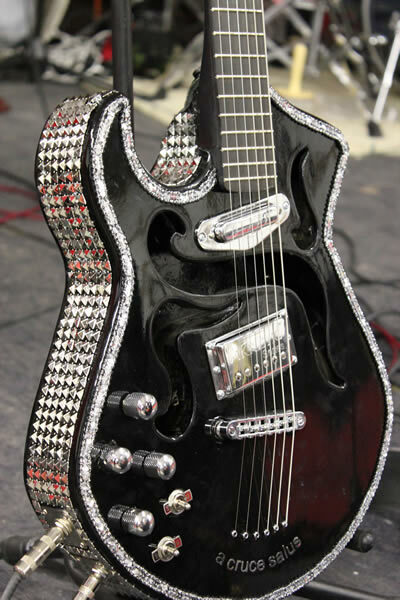 © 2013 The Evaline Guitar Company. All rights reserved. Site design by Second Son Solutions.